Get quad-core web, gaming, and video - to go. CONSOLE-QUALITY GAMING, ACCELERATED WEB, QUAD-CORE MULTITASKING AND much MORE. Tegra 3 features the world's first mobile quad-core CPU, so you get amazing performance for even the most demanding applications. Download music and share photos while you video chat. You can do it all without missing a beat - whether you're traveling, commuting, or just relaxing on your sofa. Play games on your tablet and get high definition, console-like gaming experience on the go - tablets powered by Tegra 3 ensure that you will get the best experience from your tablet, anywhere, anytime. 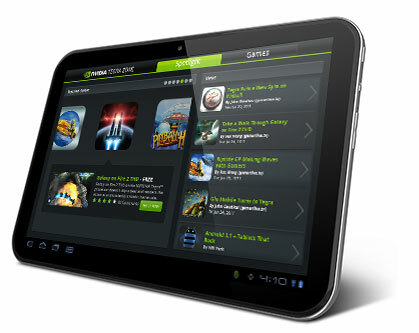 Tap into the ultimate gaming experience with TegraZone™. Get the hottest Tegra optimised titles, guaranteed to blow your mind. Packed with hyper-realistic gameplay and never seen before effects that are exclusive to TegraZone™ titles. Experience the thrill of heart-pounding NVIDIA® GeForce® graphics in every game you play. 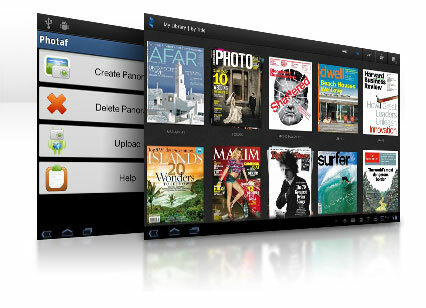 Available from Google App Store and Microsoft Store. SURF THE WEB WITHOUT THE WAIT. Love the Web, but hate to wait? Make sure your tablet is loaded with the quad-core performance of NVIDIA® Tegra® 3 and you're ready to surf the whole web, a whole lot faster. Launch Facebook, Twitter and YouTube in an instant and switch between them with multi-tab, multimedia browsing. CONNECT & SHARE WITH YOUR DIGITAL WORLD. Connect to the digital world around you with ultra-fast WiFi and tablet to TV mirroring*, allowing you to share photos, movies and even play games on your HD TV. Enjoy the benefits that Tegra 3 brings with instant-on, days without recharging thanks to its unique 5th companion core** giving you ultimate mobility at the speed of life. Just sit back and enjoy your favourite movies in full Blu-ray quality for the first time ever on a mobile device. Catch up with your favourite TV shows online, easily and at a time that fits with your busy lifestyle. 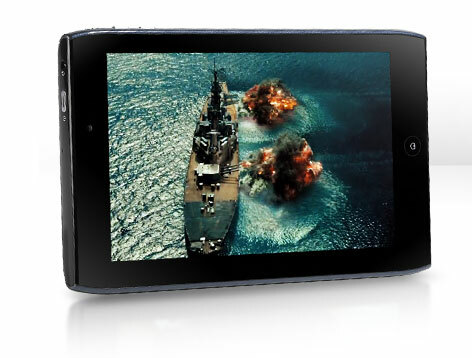 Your NVIDIA® Tegra® 3-powered super tablet is your front-row seat to HD video and TV no matter where you are. **NVIDIA’s quad-core with 5th battery-saver core architecture. Four performance cores that are automated and are enabled/disabled based on workload. The 5th companion core is a single battery saver core that handles low-power tasks.